• Westside Talent Quest - Rize Up! B-active@Pollard kicks off nine months of activities this Wednesday 30 September, 1-3pm at RT Pollard Gardens, Hampshire Road, Sunshine. The launch event will feature group activities available at no charge, including Hip Hop classes, tennis and an art workshop. When you attend you'll also be invited to nominate activities you'd like to see held at the gardens over the coming months. All the activities available at RT Pollard Gardens will be family friendly and offered at no charge. To find out what's taking place each month visit Be-active@Pollard. So get involved, socialise, improve your fitness and make the most of a lovely park that's located in the heart of Sunshine. Brimbank City Council welcomes the VicHealth grant of $81,600 to run the project which aims to inspire people to get outdoors and active. Brimbank is one of five municipalities to receive VicHealth funding to activate a public space and encourage people to get moving. Support of B-active@Pollard is part of VicHealth’s long-term plan to get more Victorians living healthier and happier lives. This is in light of research that shows less than a third of Australians are not getting enough physical activity to benefit their health. The initiative is run by Brimbank City Council with a number of partners including Victoria Police. Street Basketball and Street Football next to RT Pollard Gardens open to young people aged 12–25 years old. If you love animals, don’t miss the 2015 Brimbank Animal Expo on Saturday 10 October at Westvale Community Centre, 45 Kings Rd, St Albans from 10am-2pm. The Animal Expo is popular with pet owners and animal lovers because offers many affordable ways to be a responsible pet owner and is a great place to get handy tips on caring for your pets, all at no charge. The expo is a fun, family-friendly event featuring stalls and demonstrations from animal organisations and local vets. There's a packed program of informative talks and interactive demonstrations for responsible pet ownership. Reduced Cost Microchipping and Free Rego! Veterinarians will be on hand to answer questions about pet health and provide microchipping at discounted rates ($25), while Council will register de-sexed and microchipped pets at no charge. Responsible pet ownership requires all domestic cats and dogs to be de-sexed and registered with Council. Registration and microchipping makes it easier for a lost animal to be returned to their owner. Other expo highlights will include demonstrations by Disc Dogs and Howling Huskies from Yappy Hour TV , and much more. A jumping castle and lots of pet themed activities at no charge will complete a great program for the whole family including its four-legged members. However, all dogs must be on leads and cats in carriers. 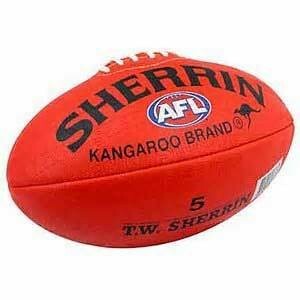 Brimbank Vet Clinic and Support Sponsors, Love ‘Em; Bunnings; Pet, Horse and Farm; Ray White; and Secureakat. 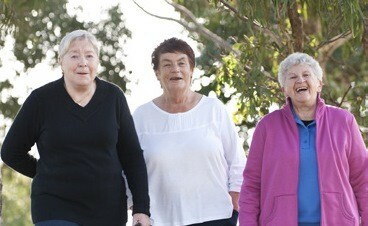 Get active while staying safe, and enjoy water wise gardening, followed by afternoon tea. Enjoy a relaxing neck and shoulder massage, mini meditation and afternoon tea. Bookings essential. U3A Brimbank and Westvale Community Centre will host a seniors open day featuring exercises, dancing, meditation, cooking demonstrations, trivia quiz, door prizes and a raffle. Morning tea and light lunch included. Bookings essential. During the Brimbank Seniors Festival there will be no charge for seniors to access swimming, steam or spa at the St Albans or Sunshine Leisure Centres from 9am–3pm. Seniors must present a Seniors Card. Contact: Sunshine Leisure Centre (9249 4615) or St Albans Leisure Centre, (9249 4635). There’s still time to have your say on Brimbank City Council’s update of its award winning Creating Better Parks – Open Space and Playground Policy and Plan. Complete our online survey and tell us your thoughts on the impact and gaps associated with our delivery of Creating Better Parks. If you complete the survey you'll go into the draw to win an iPad (after completing your contact details at the end of the survey). The survey will remain open until 5pm on Friday 9 October 2015.
what new things you'd like in Brimbank's parks. Creating Better Parks won an Australian Institute of Landscape Architects (AILA) Planning Award in 2008. 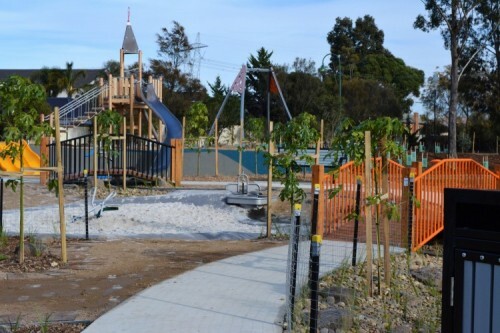 Ardeer Community Park and Alice’s Playspace at Errington Reserve, St Albans have also won awards from the AILA and Parks and Leisure Association respectively. If you've got talent to burn, use it to win cash prizes at Rize Up in Brimbank! We're looking for young people to register for the Westside Talent Quest, which is part of Rize Up in Brimbank at Pollard Gardens in Sunshine on Saturday 17 October. The Westside Talent Contest give you the chance to show what you've got - dance or music of any style. Register now for the Westside Talent Quest, via bys@brimbank.vic.gov.au or phone 9249 4110. Three high-calibre judges will be entrusted with the difficult task of choosing the recipients of cash prizes for the best crew ($300), best male ($150) and best female ($150). Movement Makers Youth Arts Forum will be held on Friday 20 November, 9.30am-4.30pm as part of the Big West Festival at the Footscray Community Arts Centre. The next generation of artists and arts workers will be able to share information at the forum. Movement Makers is an initiative of Brimbank Youth Services and cohealth Arts Generator with Footscray Community Arts Centre. Tickets are available at no charge for artists, students and concession card holders and covers lunch. Costs apply to all other ticket sales. Ticket registrations are now live on Eventbrite. The municipal council elections will take place next year on Saturday 22 October 2016. If you live in Brimbank or have a property in Brimbank you can vote. To vote, you must be enrolled with the Victorian Electoral Commission. The 2016 council elections will take place by postal vote. Visit Victorian Electoral Commission to confirm your enrolment. enrolled as a resident or ratepayer of the City of Brimbank. Residents interested in increasing their computer skills can do so at Westvale Community Centre’s recently opened computer room. The spacious and bright room has been established in response to strong community demand for increased computer classes and features 12 new computer work stations. A computer room schedule will enable public drop in access and the room will also be available for hire. Westvale Community Centre is at 45 Kings Road, St Albans. Contact the centre on 9249 4665 or email westvale@brimbank.vic.gov.au. The Victorian Government has granted an public holiday for Friday 2 October 2015. Brimbank City Council offices, customer service centres and community centres will be closed on this day. Brimbank’s Waste Services will operate business as usual. Personal care services will be provided in a limited capacity. Brimbank Leisure Services in Sunshine and St Albans will open for reduced hours, from 9am–3pm. For more information please phone Brimbank City Council on 9249 4000. State-wide e-waste ban starts 1 July 2019.